Whether you are looking for white or color large C-9 (old school) lights or the smaller 5mm (mini) lights you have come to the right place. 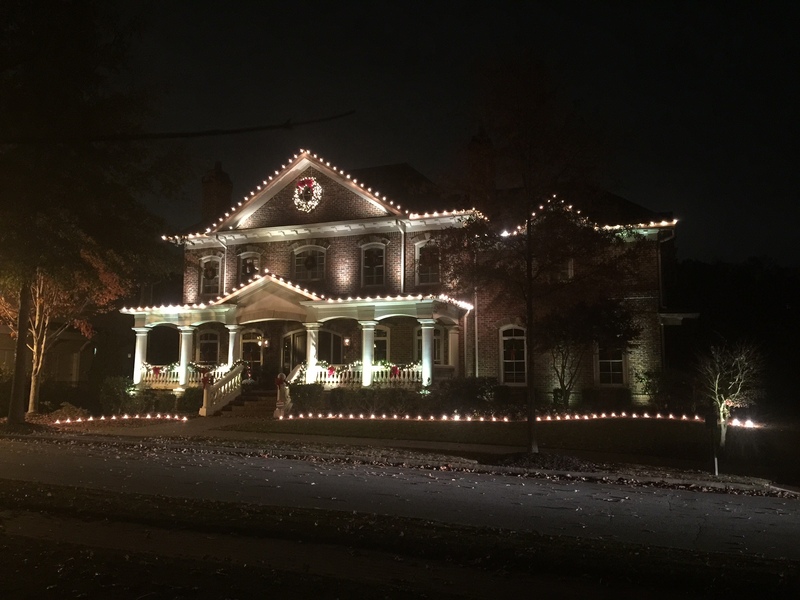 Our Holiday Christmas Light Installation service is a fAbulous way to beautify your home, office or subdivision entrance. 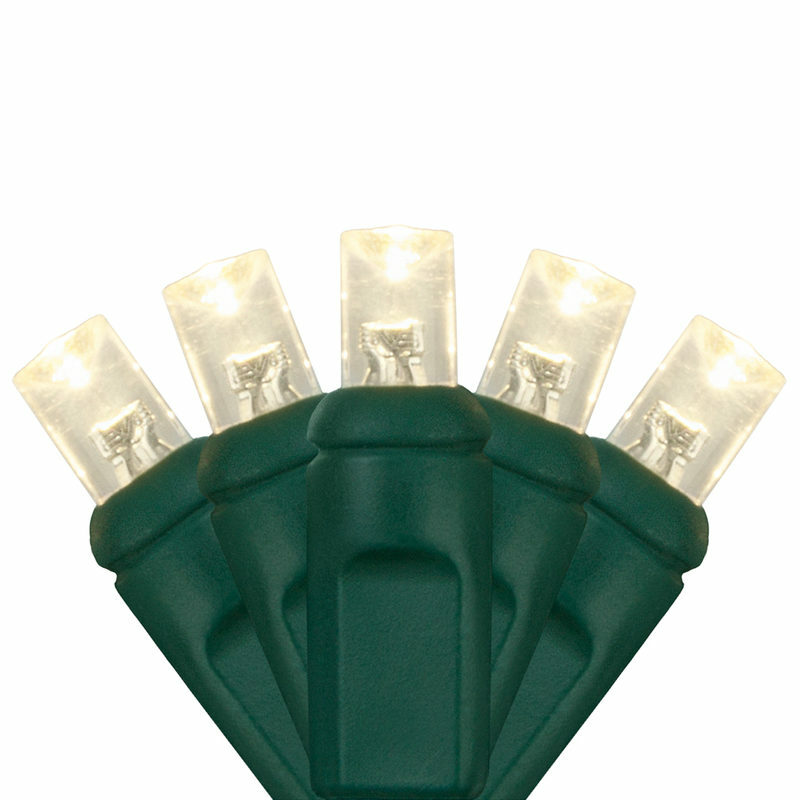 Our C-9 Christmas lights are commercial grade LED. They are faceted and emit a warm-white (2700 kelvin) glow. LED bulbs burn much cooler than standard incandescent. This allows them to be manufactured with acrylic resin so you do not have to worry about broken glass from shattered bulbs. They have a 60,000-hour rating and consume less than one-watt per bulb. This allows us to string as many as 420 bulbs on a single run. This lowers wiring requirements, the load on your circuits and your cost! Our 5mm LED mini lights are commercial grade and have a lifespan up to 100,000 hours. The strings are 25′ with warm-white LED bulbs placed 6″ apart. They use as much as 90% less energy than a standard mini light. In fact, they use so little energy that you can put as many as 40 strands end-to-end! The lights are on 22 gauge wire and are powered by standard 120 volt household current. come with a 3-year warranty. 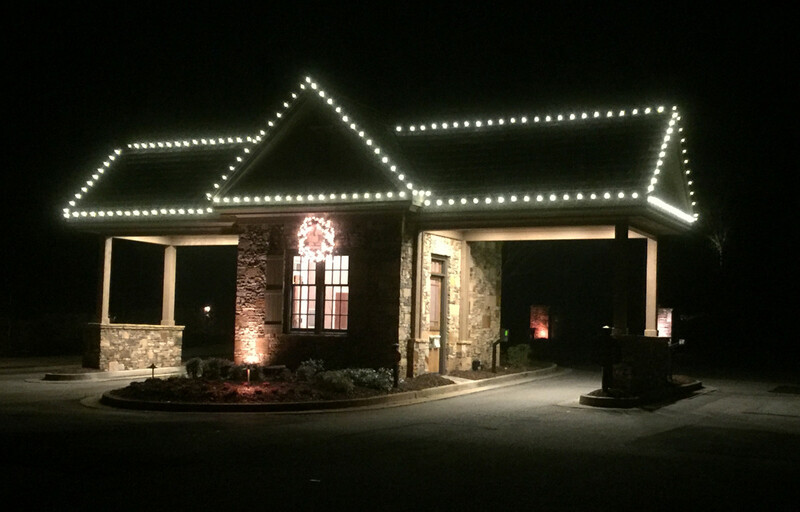 We typically install C-9 LED lights on ridges, gables and rooflines to create an outline of light. North Atlanta Guard House with Abulous C-9’s. Click to enlarge. The C-9 lights are custom made to each home and look perfect when installed by a professional lighting company like Abulous Lighting. We use special clips that make each bulb stand up perfectly. Our lights will fit on gutters, asphalt shingles and standing seam metal roofs. Mini lights are typically wrapped around bushes and trunks of trees. Our approach is unique in that the lights become the property of the homeowner. You pay for them the first year and thereafter they are your property and you do not have to pay for them again. Lights, fixtures, clips, timers, connecting wires and storage bins become property of customer and will be packed in storage container and left with customer after takedown. You only pay for the install and takedown in subsequent years. We schedule our install and takedown appointments on a first-come-first-serve basis. Every system includes a photocell for worry-free programmed operation. C-9 bulbs are spaced 12″ apart and are priced by the foot. The cost is $3 per foot for the customized assembly and purchase of the bulbs. After purchase the bulbs and all equipment become property of the homeowner. 25-foot warm-white 5mm mini lights are $19 each. C-9 installation is $3 per foot. 5mm mini lights are $14 per strand. These cost cover installation and takedown. 50% is paid at install and 50% is paid at take-down. Want garland and wreaths too? Visit our Garland/Wreath page.